Where to find the system? 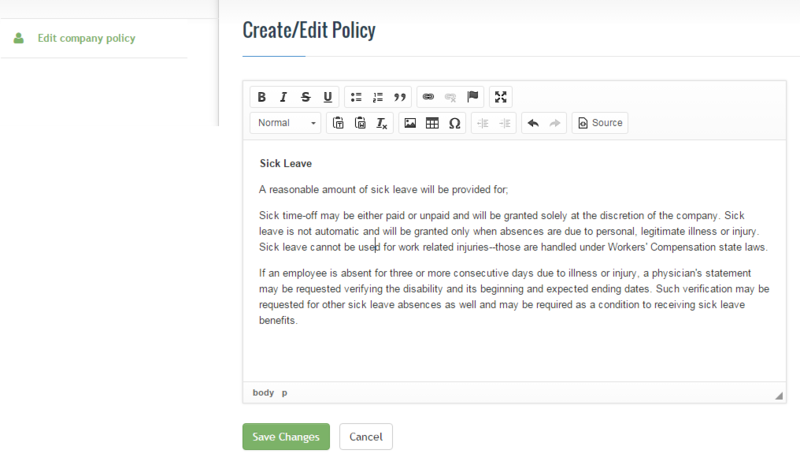 Go to dashboard and Company > Edit company policy. This page allows to create and edit company policy available for all users. You can use basic formatting options, insert images or tables or add links. Simply enter the data into the text screen. Click on save changes and the information will cascade down to each employee.